GatheringofGamers.com is a social network dedicated to a world of video game enthusiasts. 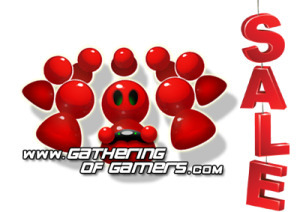 This custom-built platform has become somewhat outdated and after seven years of developing this video game community, GatheringofGamers.com needs a new life cycle. We could not be more thankful for all the amazing people this video game community has introduced us to over the years. We’ll be sad to see GoG go, but at the same time, truly energized by the idea of a new owner giving so many great gamers a new place to gather! If this sounds like an interesting opportunity, we invite you to fill out the form below.